For wearable technology to live up to the hype, especially when it comes to healthcare, it will have to be "interoperable, integrated, engaging, social and outcomes-driven," according to PwC. One in five American adults already own a wearable device, according to PwC's new series, "The Wearable Future," a rapid adoption rate that's only expected to increase. But in a related report from PwC's Health Research Institute, "Health wearables: Early days," data suggests many of the fitness bands and step-tracking smartwatches flooding the market have "under-delivered on expectations." To wit: 33 percent of consumers who purchased a wearable technology device more than a year ago now say they no longer use it, or do so infrequently. For those yet to buy into the wearables craze, price, privacy, security and the lack of "actionable" and inconsistent information from such devices are common concerns, according to PwC: 82 percent of respondents were worried that wearable tech would invade their privacy, and 86 percent expressed concern that wearables would make them more vulnerable to security breaches. Still, wearable technology will gain traction over the next five to 10 years, according to the study, with great promise to help consumers better manage their health and healthcare costs. But PwC suggests the potential of the $2.8 trillion U.S. healthcare system will only be realized if companies are able to turn data into insights leading to better health. 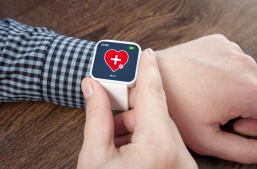 "For wearables to help shape the New Health Economy, next generation devices will need to be interoperable, integrated, engaging, social and outcomes-driven," said Vaughn Kauffman, principal of PwC Health Industries, in a statement. "Wearable data can be used by insurers and employers to better manage health, wellness and healthcare costs, by pharmaceutical and life sciences companies to run more robust clinical trials, and by healthcare providers to capture data to support outcomes-based reimbursement," he added. "But it will be critical to address the consumer concerns that we've identified, such as cost, privacy and ease of use." Among the interesting findings of PwC's polling: consumers don't want to pay much for their wearable devices; they want to be paid to use them. More than two-thirds (68 percent) of consumers say they would wear employer-provided wearables streaming anonymous data to an information pool in exchange for break on their insurance premiums. Besides payers, providers could also have an inroad to help spur wider adoption, as respondents say they'd be especially willing to try wearable tech provided by their primary care physician. Citing concerns about privacy, consumers trust their docs most with their health data. Wearable tech developers should ensure privacy policies are crystal clear, according to PwC. Since physicians already have the trust of consumers, and healthcare organizations have expertise in protecting personal health information, consumers will want to see those standards applied to data generated by wearables, especially as they become integrated into electronic medical records. The report points to a recent quote from Genentech CEO Ian Clark, who said most health wearables are "a bit trivial" at the moment. "I don’t doubt that the wearable piece is going to be a productive business model for people," he said. "I just don’t know whether it’s going to bend the curve in terms of health outcomes." With so many new devices to choose from – activity and sleep monitors, patches that detect body temperature and hydration level –- consumers may need a "human touch" to help them choose a device and its associated apps, according to PwC, which suggests that a formulary of wellness apps vetted by medical teams, made available in virtual apps "pharmacy," could help patients make smarter choices that could help lead to better health.